3 Course Seasonal Menu for two plus a bottle of wine from ely's award winning wine list. With this exclusive offer from Rewarding Times and ely, you can give the gift of ely this Christmas with a 3 Course Seasonal Menu for 2 plus a bottle of wine from ely's award winning wine list. Give the gift of ely to friends, family & colleagues or even treat yourself to a specially created 3 course a la carte dinner menu at the award winning and atmospheric ely bar & brasserie in the stunning 200 tobacco & wine warehouse that is the CHQ building in the heart of Dublin's Docklands. ely has always made wine accessible and as part of their celebration of a great 2015 they have put together a specially created seasonal menu that combines their 15 years of food provenance with their truly great wine list. As many of you will give this great offer as a Christmas gift, ely have very kindly said that they will enter all purchasers into a draw for 2 people on their 4 week wine course, valued at €400. Now everybody can look forward to the gift of ely this Christmas. ely started the year by being awarded "Best Wine Bar Style" for the second year in a row by the Sunday Business Post, where "the food terroir is as transparently offered up for the delectation of the wine-loving guest". The McKennas' Guides 100 Best Restaurants in Ireland really liked the "utter seriousness about the quality of the ingredients they use" and "their peerless wine list". You and your friends can enjoy gin & juniper house cured salmon, confit wild Mallard duck & pigs trotter terrine, roasted organic beef bone marrow risotto or tartine of pickled wild Irish mushrooms. Followed by 'Craggy Island' Burren lamb, slow cooked belly of organic Burren pork, roast Monkfish tail & smoked mussels or roasted cauliflower with black radish, dates & hazelnuts. ely make their own desserts, many being gluten free. Delightful winter desserts such as poached plum with date and walnut crumb, 70% Chocolate & orange pavėe with goats milk curd or a sticky fig & chestnut pudding. ely has selected a bespoke Sauvignon Blanc by Little Beauty in Marlborough on New Zealand's South Island. This 'Limited Edition' single vineyard Sauvignon Blanc is a zesty, juicy, mouthwatering wine with flavours of pink grapefruit, fresh basil & pea shoots. The red comes from the Central Otago region further down the South Island. A hand-harvested Pinot Noir by Mouha, this is a floral wine, a rich, juicy Pinot with fine tannins, raspberry, blackberry & wild strawberry flavours and a hint of spice on the finish. Both the Little Beauty 2013 Sauvignon Blanc and the Mouha 2013 Pinot Noir have been singled out from ely's extensive wine list to complement the menu. You can select a bottle of either wine or opt for both wines by the glass. 3 course full a la carte dinner for 2 plus 1 bottle (or 4 glasses) of the selected wine would normally cost €149.00 but is €89 for Rewarding Times subscribers. This is an ideal gift for family, friends or colleagues or even a little treat for you. Vouchers are valid from 5th January until 5th March 2016. Voucher must be used by 5th March 2016. This redemption date is firm. No correspondence will be entered into regarding late redemption of your Rewarding Times Voucher. Vouchers are valid for dinner bookings only for ely bar & brasserie, IFSC. Vouchers are valid Monday – Saturday after 7pm. 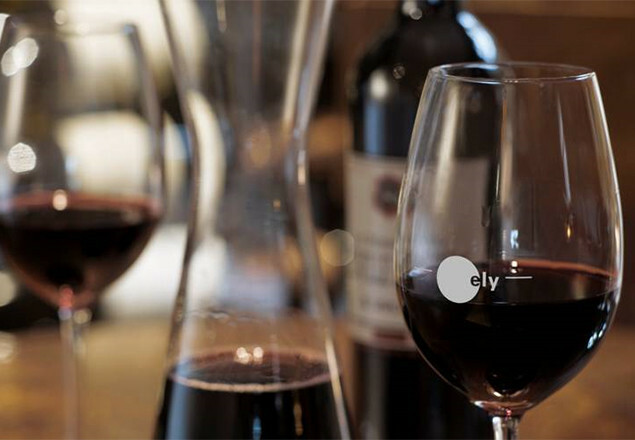 Should you wish to select a bottle of wine in lieu of the wines by the glass ely will allocate a €30 value towards any wine.